Submitted by lynn on Sunday, March 2, 2014 - 9:01pm. 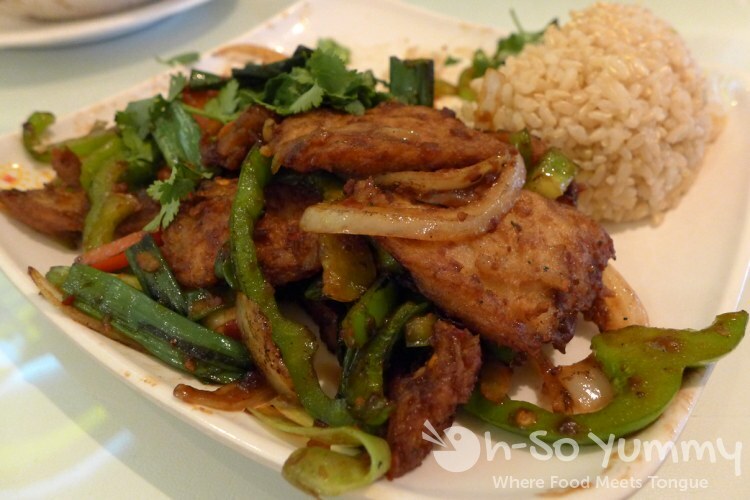 One of our favorite restaurants in Mira Mesa is Loving Hut, part of a chain that has one other San Diego location (off El Cajon Blvd) and a few other cities. It also happens to be a vegan restaurant that we, as non-vegans, still eat at least every other month. It's just that good to us. We haven't tried everything yet but we could certainly recommend a few things to try! We almost always order the Spicy Cha Cha (large). You also get a choice of regular rice or brown rice, of which we pick the latter. 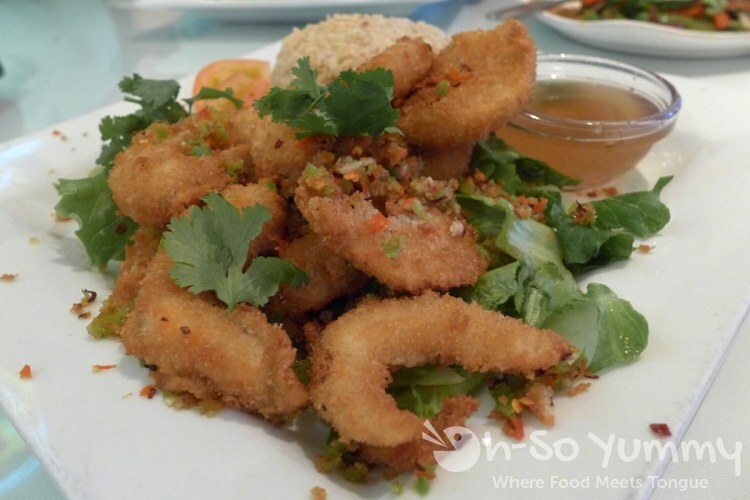 It's got an excellent panko-like crisp to it, a very shrimp-like taste and texture, and there's a spicy kick to it. We're always surprised at the way the heat creeps up on us too. I can handle this dish because it isn't a crazy hot burn like some other spicy foods but my mouth definitely feels spiced up after a couple of bites! 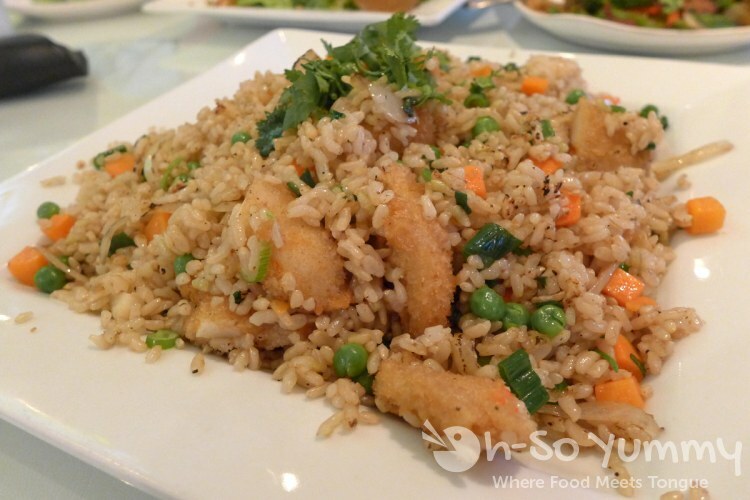 A similar dish we order is the Cha Cha Fried Rice, which brings over the yummy "shrimp" from the first dish but combines it with short grain rice, onions, carrots and peas. It isn't as spicy as the first either (or some peppers are left out). It's a great dish by itself or as a side without being oily or dry. If only I could make fried rice as good as this at home! Another favorite is the Amazing Saute. This dish looks to be stir fried with a savory brown sauce and adds a different type of protein "meat" to our table. I'd describe it as similar to a slice of beef jerky that is softer yet has a very light chewiness. Maybe that isn't the perfect or correct description but the flavor of this dish is amazing to me! The bell peppers are crisp stir-fried and give it a little extra chomp. I love that the food here isn't too saucy although Dennis usually prefers his food with even less! 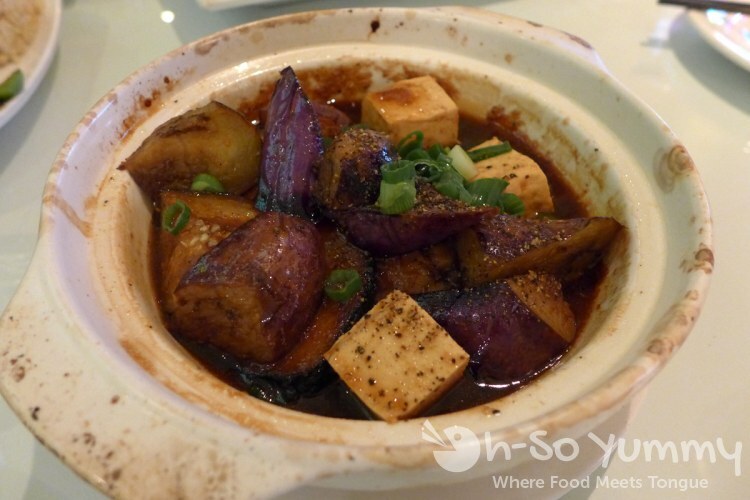 For a clay pot type dish, you can order the Eggplant Tofu. It comes in a piping hot bowl so the food stays toasty throughout the meal (but don't burn yourself accidentally). The marinaded eggplant chunks are bite sized and a bit melt in your mouth for this type of vegetable. I'm very happy when eggplant actually tastes good! The tofu is a medium firmness but the sauces didn't penetrate through to the middle. 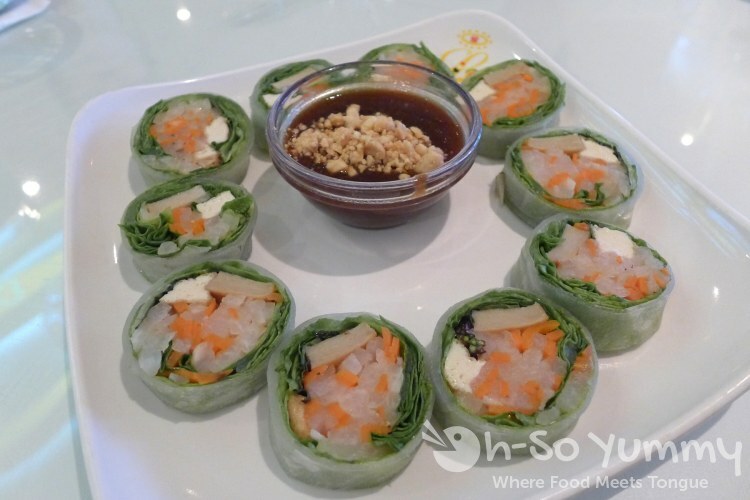 We once tried out the Summer Rolls appetizer, which contain vegetables, tofu, and soy ham. We thought these were a little on the plain side, but the peanut sauce that went with it helped. 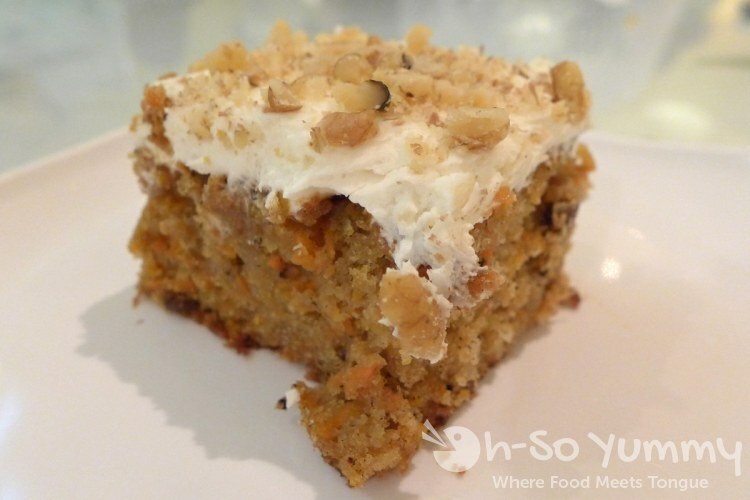 We also finally tried out one of the desserts, the Carrot Cake. It was definitely moist and contained the typical carrot cake seasoning but overall was a little sweet for my taste. Also, it was quite soft and I like mine to have a more hearty bite to it. Give me more chunks! Money Saving Tip: You can get 10% off one entree if you check in with facebook (each person must checkin for their own discount) or 10% off your WHOLE bill if you check in with yelp (this is subject to the restaurant's most current policy). I've also seen coupons in the "Buy 1 Get 1 Free" monthly mailer for the last couple of months so that's also another way to do it. We just got our March issue recently so we'll be back very soon!